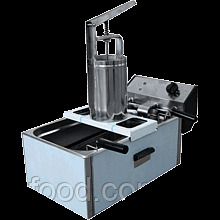 Batchers are installed on a deep fryer. 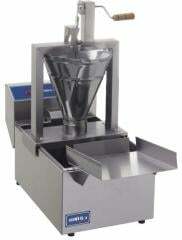 All details contacting to the test are made of food stainless steel, easily understand for sanitary processing. 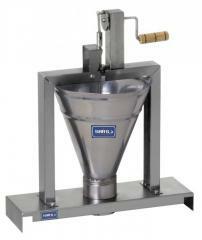 Formation of a donut happens at rotation of the handle of the batcher. 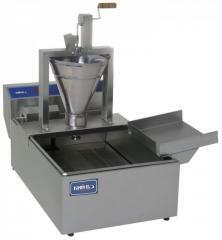 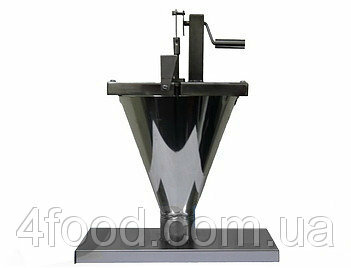 Unbelievable price on The batcher for donuts the Kid in Kiev (Ukraine) company PROMFOOD, LTD.